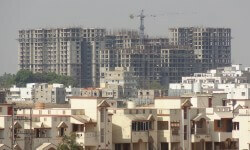 The Delhi Development Authority (DDA) plans to float a new housing scheme to re-sell 13,000 flats that were returned by the allottees of the 2014 housing scheme. 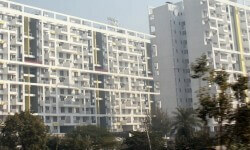 In order to attract serious buyers this time, the land-owning agency has increased the earnest money to Rs 5 lakh for MIG (mid-income group) flats. A final decision would be taken in a forthcoming meeting to be held on October 10. The strategic Dhola-Sadiya bridge on the Brahmaputra is likely to be opened to traffic before monsoon next year. The Rs 938-crore two-lane project, which will reduce travel time between Assam and Arunachal Pradesh by four hours, will be the longest bridge in Asia. Indiabulls Housing Finance has raised up to Rs 7,000 crore from non-convertible debentures (NCDs) to fund its business expansion. In a regulatory filing, the company said that bonds had a face value of Rs 1,000 each. Encouraged by an interest shown by global investors, the government has planned three more sector specific sub-funds, including for the development of airports and ports, under the Rs 40,000-crore National Investment and Infrastructure Fund (NIIF). The government last week announced that it is in the process of setting up two sub-funds one in clean energy fund which will primarily focus on renewable energy, and another fund with a focus on highway projects.